Holy overactive imagination! When Scarecrow attacks using his fear gas, only humans are affected, leaving Batman, Robin and the Mystery Inc. gang trapped facing “monsters” from their own imaginations. 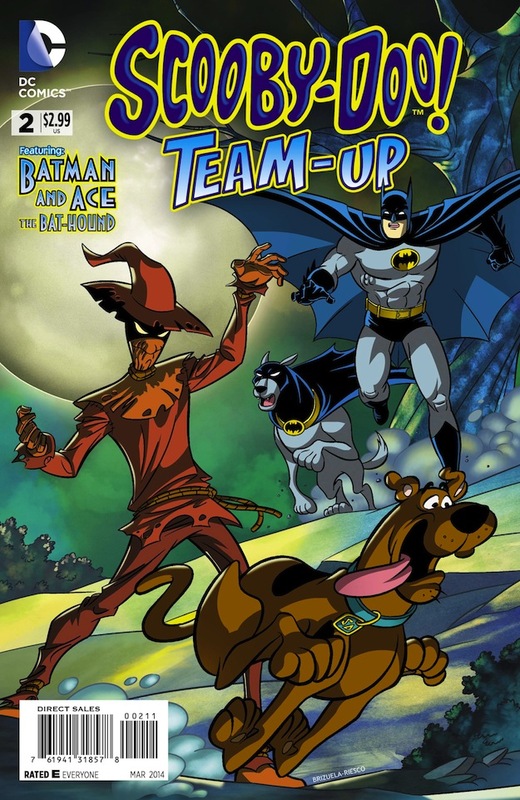 Now, it’s up to canine crusaders Scooby-Doo and Ace the Bat-Hound to save the day! The comic goes on sale January 7 in comics shops. Enjoy!